Everyone has that one friend! He or she is the friend who always encourages you to put on your dancing shoes and let your hair down. Close friend would mean the world to any person and yes, for me too! He/she will be there for you always and whenever you need them. When he/she is on a high, you would celebrate with them; when he/she falls, you would help them up again. Your life is richer and richer because of your close friend. Make Your Friend: You will really have to get your friends to go with you. Do not ever try to convince them for making them to join you. This will make them to come up with counter arguments quite naturally. Even you will do the same in such situations, right? Just ask them to join you as a favor. This will make them happier to join with you! Stay Together: Handling the challenges together will help. Firstly, it can help if there is anything that is remotely challenging you about that activity. If there is any real problem, do it along with them and it can transform as a bonding experience. Even if your friends did not enjoy the activity, they will surely look back on it with much interest later, because it is this one that brought you closer. Building Trust: You have to be really in a clique. The bottom line of this: if they are not in your group, this is not going to work. You will have to hang out with them and try to build more trust. Help them Out: Don’t ever hesitate to help your friends in their battles. Remember, don’t jump into it. It is their business, not yours. However, when another group is trying to insult your friend, stand up to them. This will guarantee you that your friend will follow what you say. Environment is Important: Try to choose a familiar and comfortable environment. It can help you if the activity you demand from friends will surround with familiar things and with the people they like. It is very easy to take your friends for granted. Express your gratitude to your friends in words and deeds. Offer Love: The hidden secret behind getting your friends to follow you is to love them more and more. This is also the secret to lead as well. Then, you can shout or you can yell! You can fire or hire them! Strengthen your Friendship: You must definitely focus on being a giver in your friendship. This doesn't mean letting you to be used. 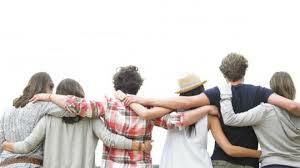 Rather, think and do what you can in order to build and strengthen your friendship. This may include giving your friends the space or the time. Avoid Negative Thoughts: Do you ever stew over how others are treating you? It will be very difficult to release yourself from those negative thoughts. Such negative thoughts will be corrosive and may harden your heart. So let them go free! Just focus on the beauty of the present moment instead. This will make people to follow your words. Positive Feed backs: Positive feedback will definitely improve the cognitive flexibility of your friends and will motivate them to a larger extent. This will make them come your way naturally. Being Fun Lover: You have to be a fun person to be around. You do not have to be the life of the party. But, you need to try having a cheerful disposition as much as possible. Smile, laugh and be sociable! This will surely make your friends to fall in your way.